It’s taken me a while to think about how I wanted to approach sharing our family holiday in Agadir. 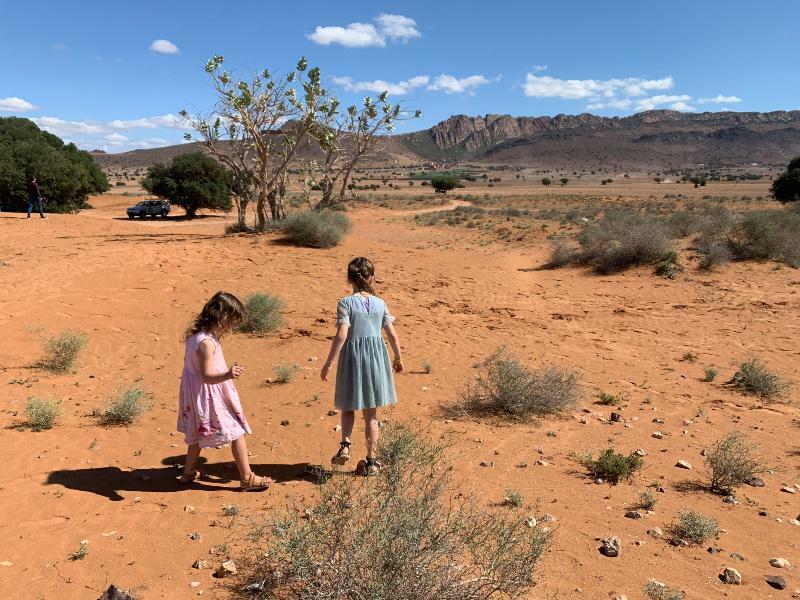 As a family, we had very mixed feelings about our experience in this part of Morocco and I feel that it’s really important for us to acknowledge that in this blog post. The girls had a lovely holiday, but there were some aspects of this holiday that we found challenging. 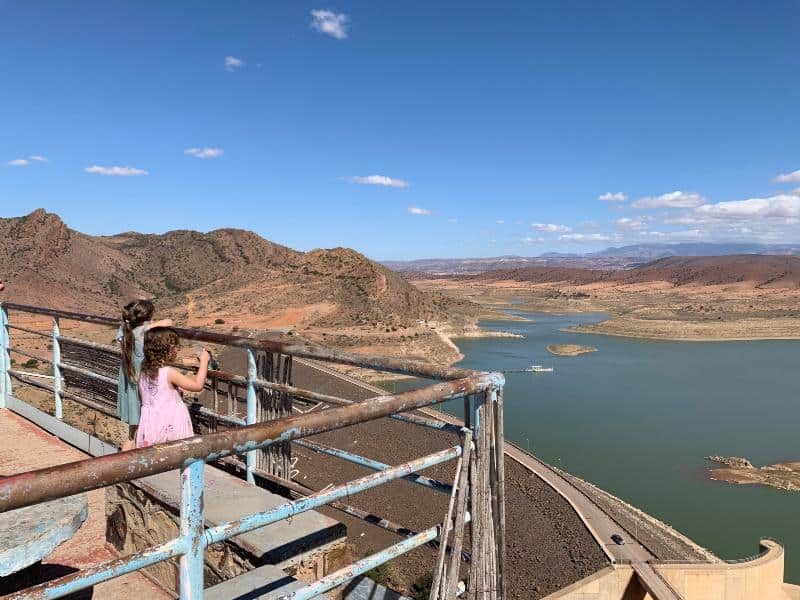 We travelled to Agadir with our 4 and 6 year old daughters in February and we were very excited to be exploring this new destination. we hadn’t been to Morocco or Agadir before so it was all very new to us. We had hoped for a relaxing holiday with the chance of exploring the local sights with our children. The majority of the holiday we did enjoy and we saw some amazing places on the tours that we did, but some elements of our holiday in Agadir were stressful, including at Agadir airport. I came away from our holiday with a strong feeling that visiting this part Morocco isn’t going to be for everybody. Buying a family holiday is a big investment for parents, and if it doesn’t live up to your expectations and it can leave you and your children so disappointed. 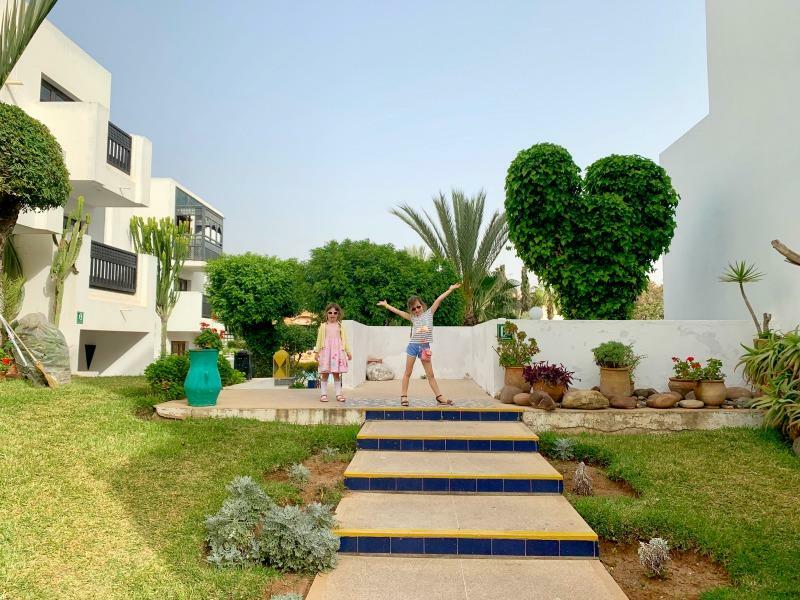 If you are thinking of going to Agadir I hope this review of our trip will help you to make an informed decision about booking to go on holiday here. The original town of Agadir was largely destroyed by an earthquake in the 1960’s. The city has been rebuilt and it’s incredibly modern in its look and feel. 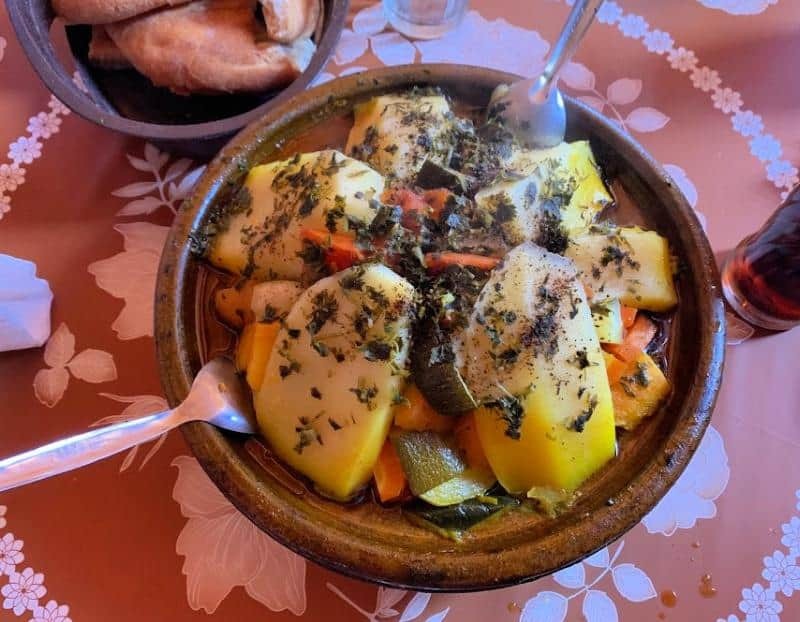 If you are looking for a more authentic experience from your trip to Morocco you may want to consider other locations or including tours or day trips with your holiday. 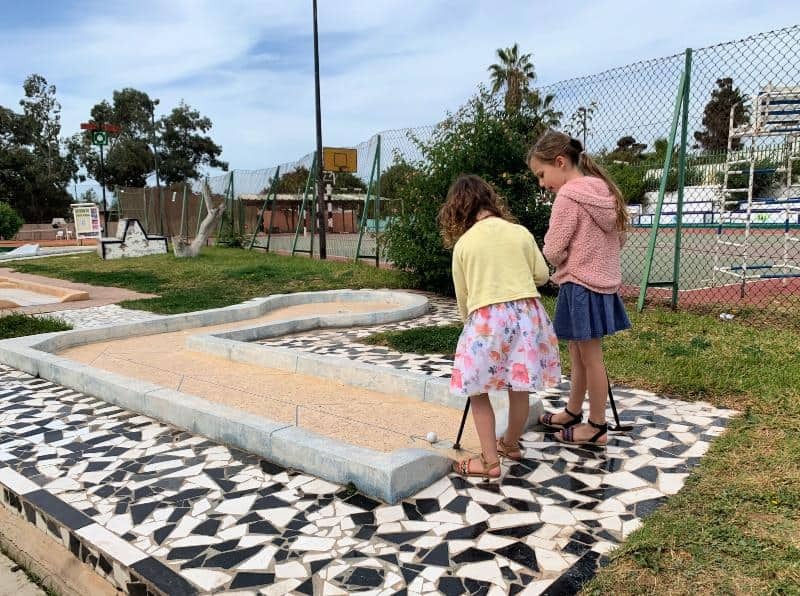 Agadir is often described as touristy in lots of travel articles and blog posts but what does that mean for a family wanting to go on holiday to Agadir? We found that it meant that if we left our hotel to either visit a place of interest or go to the beach we would either be approached a to buy either tours, camel rides or sarongs a lot. I went to the beach with Indie and Brook in the hope they could play in the sand and we could enjoy watching the waves. In the 30 minutes or so we were on the beach I was approached by people who wanted to braid their hair, sell us fruit or get the girls to ride on the camels. You need to be prepared to be firm with people as they can be quite persistent. On a couple of occasions we also found people to be a little unpleasant. This did make us nervous as we obviously had 2 small children with us and we just wanted to go about our business without getting into any confrontations with the locals. 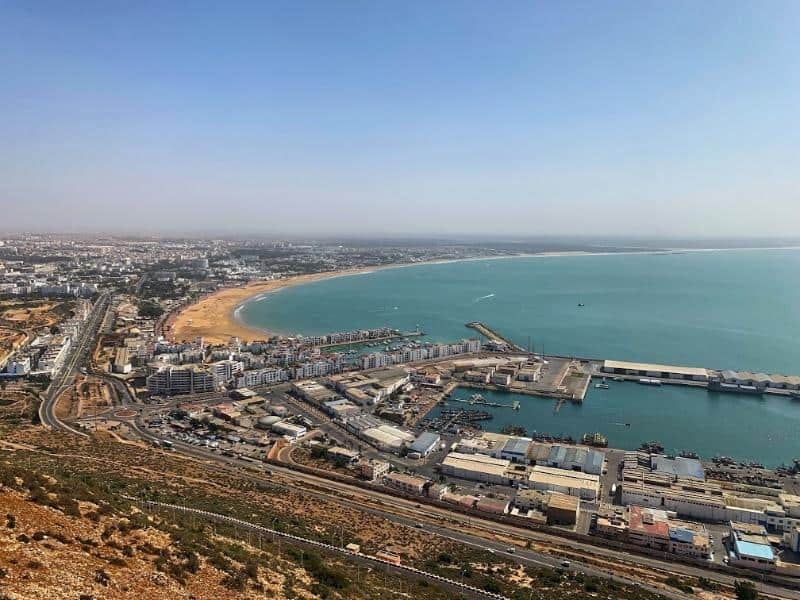 If you were to ask me if visiting Agadir is safe, I would say yes, but you do need to take precautions while you are here. We stepped outside our hotel for a very short walk with the kids and every shop owner tried to get us to go and have a look at what he had for sale. Unfortunately for them, we just aren’t shoppers and no matter how much they tried we really didn’t want to go in and even browse. We went back to our hotel very quickly, realising that even a short walk wasn’t going to be feasible without being approached by someone. I personally don’t mind saying no to people, but my husband does get agitated by being constantly being approached. When you are distracted by trying to sort out the children as well, it can be even harder to deal with. We were also very aware that we were visiting in the low season and there weren’t as many tourists in Agadir as there would be in the summer. This meant that we were probably targeted even more than normal. Staying inside the hotel was the best place to be if we wanted to avoid being approached by people constantly. Sadly, because it was early February, the pool was not warm enough for the children to spend prolonged periods of time in. We could go to the play area, play mini golf and there were other games but there was not enough available to keep us entertained for the entire holiday at the hotel alone. There were definitely things we liked at our hotel and I will review our stay at El Pueblo Tamlelt separately, but I would also suggest that if you plan to stay at the hotel the majority of the week, you might want to look at some alternative accommodation that has more available for keeping children entertained. I would describe our hotel as budget, and I wish I had of invested a little more in our accommodation. Because of the experiences we had had of leaving the hotel we did feel that going out was going to be a challenge especially with the kids. I went for a walk by myself to see what was nearby and to be honest it was fine, but I couldn’t shake the feeling of being slightly vulnerable. I stayed on my guard being more aware of what was going on around me than normal. I can’t say for sure if this was justified or not, but we were just not familiar enough with the area and people to know for sure that nothing would happen. Given that I had managed to leave the hotel and return in one piece, I managed to convince my husband that we should walk to the Birds Valley which was about 20 minutes away from our hotel. I wish I could report it was an uneventful walk but one gentleman was very annoyed with us that we wouldn’t go to his spice shop. Apart from that though it was fine. We walked around Birds Valley, which was free to enter, and it gave us a change of scenery at least. I think some of the birds were bored and lacked stimulation from their surroundings, but the majority of the animals here looked OK in terms of condition. This was our only independent trip into Agadir with the children. If they had of been older we probably would have explored more with them, but their age makes them curious and having to coach them constantly about why people were coming up to them was a challenge. Before we went on holiday to Agadir I looked into the tours that were available. I booked a tour called Mini Sahara with a company called Admire Morocco. I felt that we needed at least one tour during the holiday and I’ve shared lots of picture on Instagram from this trip if you want to go and take a peek. This particular day trip took us off roading along the Atlantic Coast, inside a Fisherman’s Cave House, to a Berber Village where we had the best chicken tagine ever, onto Tiznit where we explored the souq and to the Massa river, the Youseff Ben Tachfine water dam and the Atlas mountains. It was a long day but we enjoyed it. It was nice to escape Agadir for a day and get a glimpse of a more authentic Morocco. When we walked down the souq in Tiznit nobody bothered us, or cared if we looked at what they had for sale. We were taken to a silver shop but the owner realised we were going be a hard sell from the outset I think. We booked a half day city tour of Agadir after this with Admire Morocco as this was going to be the only way I was going to get us near the souq in the city. Our driver took us to the Kasbah first, where you can enjoy a pretty amazing view over Agadir. Sadly, the Kasbah itself, was largely destroyed by the earthquake and very little remains of it but it was something we wanted to tick off the list. We went to a Mosque, an Argan Oil Factory and finished up at the souq. Our driver did warn us that guides would approach us and funnily enough he was right. As we walked into the souq a man started to walk with us asking us what we were looking for. We declined his offer of help a few times before he eventually left us alone. We walked through the market, not really stopping to look at anything as we were already aware of how pushy people could be. By this point Indie was a lot more comfortable saying no thank you to people, so when she had a man put a handful of lizards in front of her she was very quick to decline his offer to take a closer look at them. It’s safe to say that my husband didn’t enjoy his experience in the souq at all. It was interesting to go and see it, and I’m glad we did, but I wasn’t sad to leave either. We met at the agreed exit about 20 minutes later with the other people on the tour, and we were all happy get back in the car and call it a day. They had managed to buy a tagine they were happy with, but we left empty handed despite the aggressive lizard selling tactics we’d experienced during our visit. I know this post about our family holiday to Agadir is sounding pretty negative, but honestly it wasn’t all bad. We were together as a family which always equates to quality time no matter which way you look at it. The weather was beautiful all week and we enjoyed the food and service at our hotel. The tours we did made a massive difference to our experience. If we had not have had any day trips I don’t think we would not have enjoyed our stay half as much. I had wanted us to visit Croc Park just outside of Agadir, but the girls were too nervous about going to see crocodiles. They were all about the camels, especially the one called Chocolate who came to our hotel most nights. 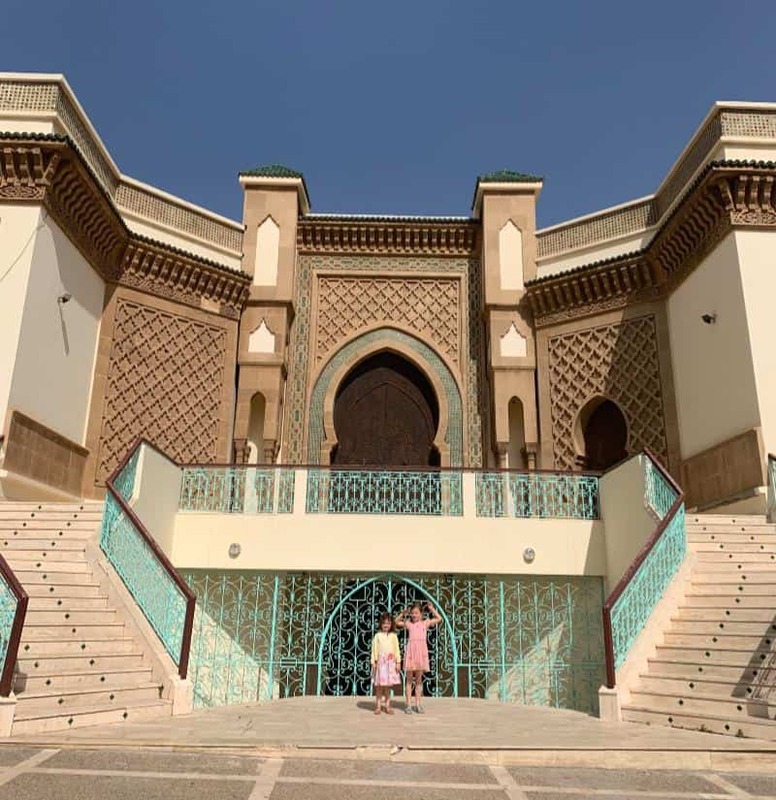 Our experience in Agadir also made us think a lot about what it means to be from a First World Country and how different it is for people in other parts of the world. There are clearly parts of Agadir and Morocco that are quite wealthy. In the next breath there are also some very poor and vulnerable people who live there too. By the end of the week I had realised that as guilty as I felt about all this, the problems here with poverty, job security and the economy were far bigger than I could fix with a few tips here and there. I think this is a very interesting question actually. I would be interested to go back to Agadir in about 20 years time to see if anything had changed, but I wouldn’t rush back right now. That’s partly down to the age of the kids and partly down to the fact that we didn’t cope very well with being constantly approached to buy things. It was pretty naive of us to think that we would be able to wander around, looking like tourists that just off the the plane from England, and not get hassled in any way. I had anticipated being able to spend some relaxing time on the beach while we were in Agadir, but over the entire week I’d be surprised if we managed to clock up one whole hour playing in the sand. We went with the girls for a second visit, which we cut short because while the girls were digging in the sand we became very aware that a group of young men appeared and sat around us. It could have been completely innocent, but it also might not have been, so we gathered our buckets and spades and left to avoid anything untoward happening. If I do go back to Morocco I will wait until the girls are older and I would look for a different place to visit too. 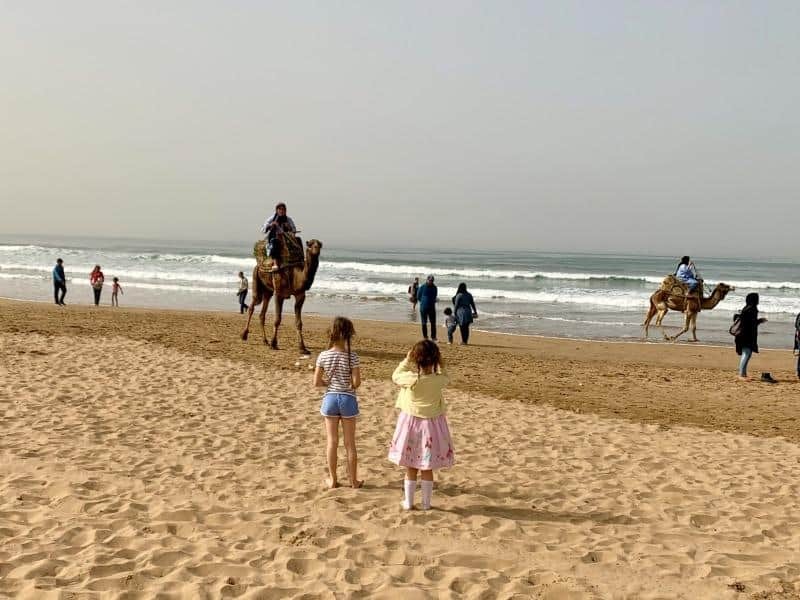 I would avoid somewhere like Agadir that is primarily aimed at tourists looking for a beach holiday as it lacked the cultural aspect that we enjoy about travelling with the kids. I would also like to mention that we saw many people appear to enjoy their holiday here. Families did enjoy the sunshine and were happy to sit around the pool reading books and playing. If the pool had of been warmer, we would have definitely spent more time there too. 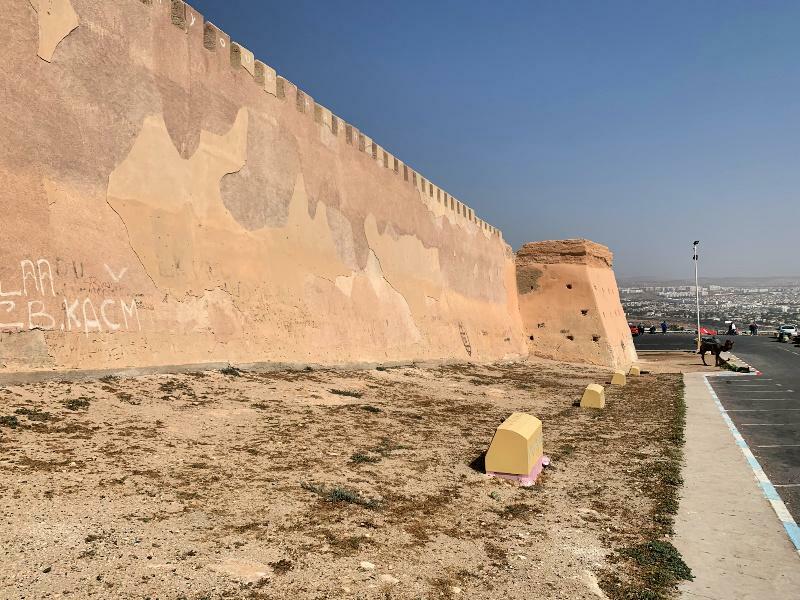 My conclusion from our holiday in Agadir was that going here certainly wouldn’t be for everyone, which was the main reason I wanted to write this post. If you don’t mind being approached a lot and are used to being firm with people, I think you would be fine. It’s quite similar to Egypt if that is a place you are used to going on holiday. If you want to wander around without dealing with that aspect of Moroccan culture then I would probably advise you to visit elsewhere for your family holiday. Spain might be a better option compared to Agadir for example. I also want to make you aware that we paid for our family holiday to Agadir ourselves, and we are under no obligation to share this post. We just felt it would be useful to talk about our holiday in Agadir if this is somewhere you are considering going to. These tips and tricks for visiting Agadir might also help you out. If you have any questions about our holiday in Agadir, or any comments you would like to make please do feel free to leave a comment below and I’ll do my best to get back to you. What a great, frank review. I’ve never been to Agadir but I have been to Morocco — the first time when I was living in Manhattan, the second time from London. The rough and tumble of NYC better prepared me for the experience but you definitely have to be firm to the point of rudeness (at least from a British standpoint!) with some of the hawkers. It makes you feel better when you accept this is just the way they do business and they are not offended. Or if they are, Who cares? It’s definitely an attitude to cultivate but moving about with small children can make the experience stressful. Good tips on how to enjoy Agadir and the day trip sounds marvelous. There is some truly stunning scenery in Morocco and you can also pick up pretty and interesting handicrafts, souvenirs and knickknacks. I’m now prepared when I go!